Why the change in the company name? The brands ThermalRite, CrownTonka, ICS and LoTemp Doors have always been under one family-owned roof, but each brand was managed independently. Unifying the brands allows Everidge to better serve our customers every step of the way, from point of sale to walk-in installation. 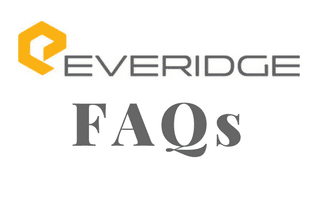 The name “Everidge” implies a sense of reliability and courageous achievement, something we as a company aspire to. We aim to address candid feedback from customers and dealers, always striving to improve our products and processes. Will this affect my relationship with my rep for ThermalRite/CrownTonka/ICS/LoTemp Doors? No. Your contact at each brand remains intact, and their customer focus is the same. Who is my customer service contact at each brand? For ThermalRite, contact Derek Johnson at derek.johnson@thermalrite.com. For CrownTonka, contact David Teske at david.teske@crowntonka.com. For ICS, contact Lynne Clatterbuck at lynne.clatterbuck@icsco.com. For LoTemp Doors, contact Sharee Lee at sharee@lotempdoors.com. Will the buying process change along with the company name? No. Our signature turn-key purchasing experience is still in place, providing customers with true partnership, from design and manufacturing to shipping, installation and operation. What are the differences between the four sub-brands? All four brands uphold the same Everidge principles of reliability and customer service, with a nationwide reach. The main difference in the four sub-brands comes in the products we provide and the markets we focus on serving. Each brand’s product and market segment is as follows. ThermalRite walk-in coolers provide food storage solutions for restaurants, hotels, casinos, stadiums and non-commercial foodservice institutions like colleges and universities, hospitals and K-12 schools. Other ThermalRite cold food equipment solutions include blast chillers, prep tables and vacuum sealers. 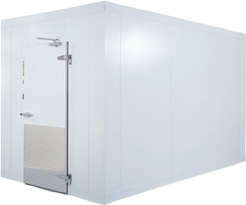 ICS products feature one-piece outdoor walk-in coolers which arrive fully assembled for chain restaurants, grocery stores, c-stores, and other outdoor storage needs. CrownTonka specializes in indoor or outdoor walk-in cold storage for retail grocery stores, c-stores and cold storage warehouses. In addition, they provide environmental/laboratory cold storage structures for medical facilities, research rooms, custom production facilities and test labs. LoTemp Doors provides walk-in replacement doors, designed to fit all Everidge coolers and freezers or any other manufacturer’s units, as well as door solutions for temperature controlled environments such as food processing warehouses and distribution facilities. What changes can I expect to see with the rebrand? Other than a new look and feel, such as in our logo and website, much of your day-to-day interaction will not be changing. Moving forward, a primary focus of the unification is the production of innovative, new products tailored to specific market segments and customizable for each customer’s needs. One change by ICS will help clarify the brands’ segmentation. The sectional, panel walk-ins by ICS will be absorbed by ThermalRite and CrownTonka — foodservice panels absorbed by ThermalRite and food retail panels absorbed by CrownTonka. ICS will focus solely on one-piece outdoor units. This clarification will help streamline our operations in order to serve our customers more efficiently.